The May-June Newsletter is Here! The May/June issue of the CBI Newsletter is here! 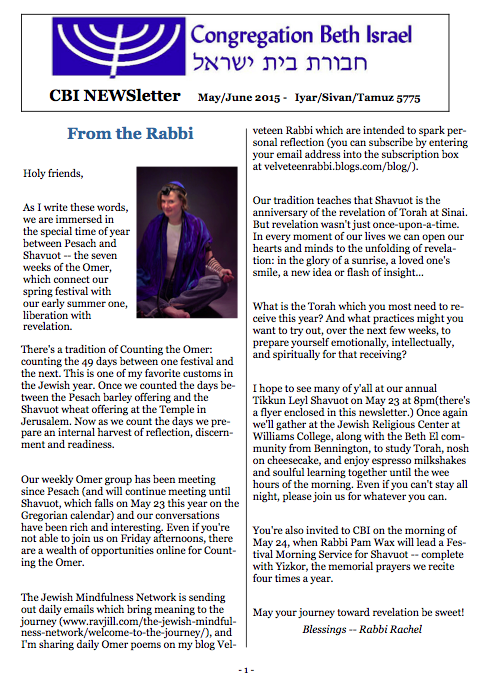 In this issue: From the Rabbi, service times, May and June Shabbat and havdalah times, Thanks to Jewish Federation from Liz Miller, President’s Column by Pattie Lipman, intel on our summer movie series, a Summer Performance at CBI, Remembering the Jar of Tears, “Worth a Thousand Words,” Super Sunday!, Join us for our Tikkun Leyl Shavuot, Getting It…Together, Upcoming birthdays and anniversaries, donations since the last newsletter, Seeking Shamashim, and a reminder to get items in for the July/August newsletter by mid-June. 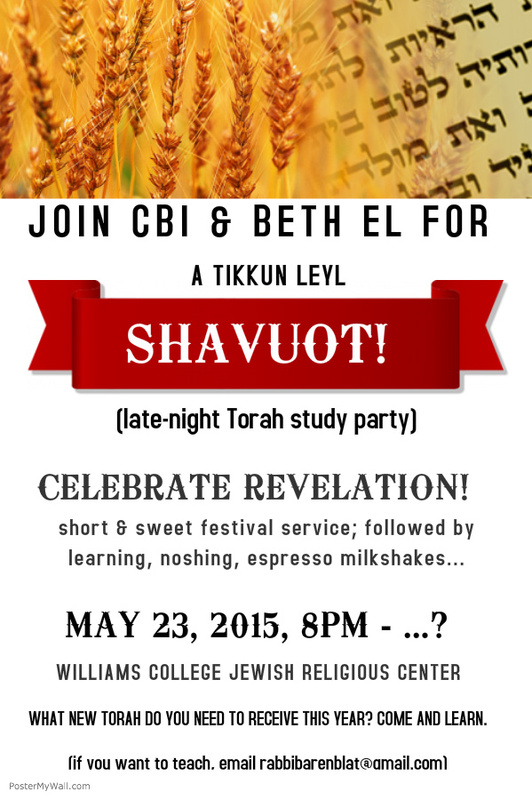 Join us for our Tikkun Leyl Shavuot! Shavua tov – a good week to you! This week we’re reading the Torah portion known as Acharei Mot-Kedoshim in the book of Leviticus. And here’s the URJ’s compilation of commentaries on this week’s Torah portion: Acharei Mot | URJ and Kedoshim | URJ. This coming Shabbat we will have services on Friday night and Shabbat morning. 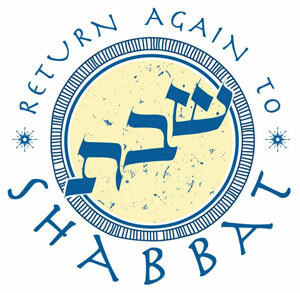 On Friday night, May 1, there will be a lay-led Kabbalat Shabbat (“Welcoming the Sabbath”) service and a catered dinner; please RSVP to the office if you have not already done so. On Saturday morning, May 2, Rabbi Rachel will lead Shabbat morning services. Shavua tov! Looking forward to Shabbat Tazria-Metzora. Shavua tov – a good week to you! This week we’re reading the Torah portion known as Tazria-Metzora in the book of Leviticus. And here’s the URJ’s compilation of commentaries on this week’s Torah portion: Tazria | URJ and Metzora | URJ. This coming Shabbat morning, April 25, services will be led by Rabbi Lori Shaller. Here’s the d’var Torah which Reb Rachel offered at CBI yesterday morning. Every year I struggle with the story of Nadav and Avihu, the sons of Aaron who brought forth “strange fire” and who were immediately consumed by a fire which came from God. On its surface, this is a story in which deviation from the established way of approaching the divine results in death. When I look at the story’s allusions, I see a story about the power our ancestors ascribed to the sacred. God is so powerful that an unmediated encounter has the capacity to be dangerous, to fry out our circuits, as it were. It is as though God were a power plant, and Nadav and Avihu plugged in a device which wasn’t correctly calibrated. The power tore right through them and burned them up. Many religions have regarded the sacred as dangerous. Intellectually I can place this story in that context. But when I place myself in Aaron’s shoes — and even more when I place myself in the shoes of his wife Elisheva — I am horrified. So too was Aaron. Torah tells us: וידם אהרן –– “And Aaron was silent.” The word used for “silent” connotes not only lack of speech, but a kind of existential silence. Sometimes in the face of tragedy there are no words. Aaron’s silence hints at his grief: this is an explanation on the level of drash, telling an interpretive story around the scaffolding of the text. Torah doesn’t tell us that he felt sorrow, but we can read that between the lines; it is in the white fire around the black fire of the words, in the human context we bring to the bare outlines of the story on the page. Later in this week’s portion we read that if a small dead animal, a mouse or a lizard, falls into an earthen pot, that pot becomes tamei — which is usually translated as “ritually impure,” though I understand it as meaning “electrified.” We vibrate at a different frequency for a while as a result of contact with blood or with the body of a creature which has died, contact with tangible life or death. The way to make the pot pure again is to break it and glue its pieces back together. Here’s what I take away from that: contact with death can change us, but through our brokenness we can find a new kind of wholeness. In fact, in order to stay tahor, to stay pure, we need to break sometimes and then be repaired. Everybody breaks. This is the path to wholeness: not despite breaking, but through it. The death of a child is an almost unthinkable horror. I pray that the trauma in each of our lives will be less than that. But there is no life without some sorrow. Maybe the answer is to try not to fight the brokenness, but to allow it to happen, and to cultivate trust that when we are put back together again we will be able to access the purity of heart and soul which our liturgy teaches belongs to each of us. I don’t mean to suggest that our breaking is “good,” or that tragedy and trauma are “worth it” because we grow thereby. I couldn’t say that to Aaron and Elisheva, and I can’t say it to you. But I do think that breaking and healing are quintessential human experiences — and I pray that for every shattering, there can be tikkun, there can be healing. For me, that is the sod (the secret meaning) of the juxtaposition of these two texts: one shows us trauma, and another shows us a path toward repair. Our tradition holds that a person who has made mistakes and then made teshuvah — has repented and re/turned themselves in the right direction again — is closer to God than one who has never sinned. Maybe a person who has experienced some brokenness and then been mended is more whole than one who has never been broken. This is the journey of being human. We grieve, and then we heal. In the Japanese art of kintsugi, “golden joinery,” pottery is broken and then glued back together with powdered gold. The seams aren’t disguised; they’re magnified, made to sparkle. The beauty is found not despite the patched places, but in them.What would it feel like to stop trying to hide our brokenness, and instead to illuminate our beauty — not despite our scars, but in them; not despite our sorrows, but through them; not despite our seams, but celebrating our own patchwork hearts? This full length storytelling performance is based on the life of Rabbi Kalonymus Kalman Shapiro, known as the Rebbe of the Warsaw Ghetto. Rabbi Shapiro wrote while in the ghetto and buried his writings in a milk jug which were found nearly a dozen years later by construction workers. This telling re-imagines his sermons as journal entries; his diary to the Master of the World. This portrait provides a window into his changing experiences in the Warsaw Ghetto and show his struggle to remain a compassionate leader even then, even there. The Jar of Tears has been performed widely including in Warsaw Poland, and won the Charles Hildebrandt Holocaust Studies Award in honor of its artistic excellence, depth of vision and technical mastery. 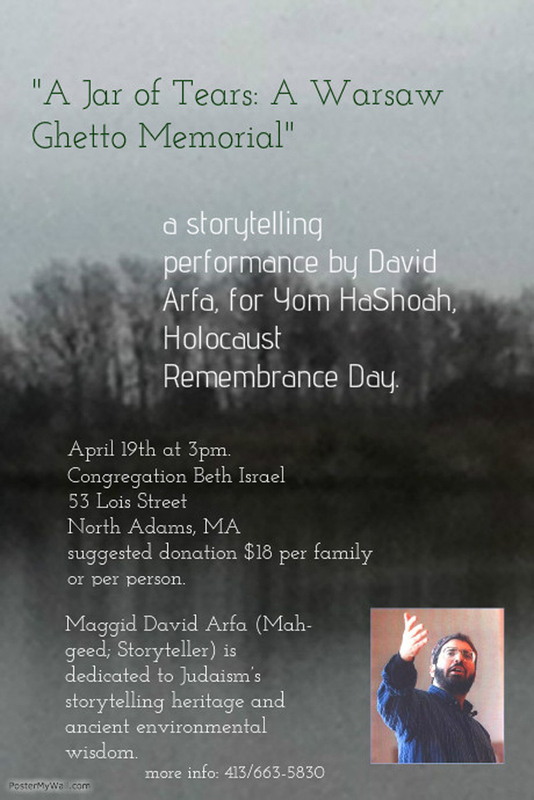 Maggid David Arfa (Mah-geed; Storyteller) is dedicated to Judaism’s storytelling heritage and ancient environmental wisdom. His latest CD of stories, The Life and Times of Herschel of Ostropol: The Greatest Prankster Who Ever Lived won a nationally acclaimed Parents’ Choice Award . His first CD of stories, The Birth of Love: Tales for the Days of Awe, includes ancient mythology, old world Yiddish tales (set here in the Berkshire foothills), medieval folktales and other surprises. His storytelling performance, The Jar of Tears: A Memorial for the Rebbe of the Warsaw Ghetto, won the Cohen Center’s Hildebrandt Award for Holocaust memorial art based on it’s depth of vision and artistic quality. David’s workshop ‘Try Stories for a Change’ helps organizations build volunteers and raise funds through authentic storytelling and listening circles. Other workshops explore the relationships between wonder, grief, hope and activism in a Jewish context. David earned his MS in Environmental Education from Lesley College, spent a year studying traditional texts in Jerusalem, and earned degrees from Michigan State University in both Wildlife Ecology and Environmental Policy. David lives in the Berkshire foothills of Shelburne Falls and is the Director of Education for Congregation Beth Israel in North Adams. Shavua tov – a (belated) good week to you! This week we’re reading the Torah portion known as Shemini in the book of Leviticus. And here’s the URJ’s compilation of commentaries on this week’s Torah portion: Sh’mini | URJ. This coming Shabbat morning, April 19, services will be led by Rabbi Rachel.